I’m so excited so share with you what has taken years in progress to come to a reality in my kitchen: Tropical Rum Cake. My mama started making me rum cakes since my 21st birthday and I’ve always loved them ever since. She makes one for me every single year for my birthday to this day! So I’m a little of a rebel when it comes to recipes and like to change them up to make them my own. 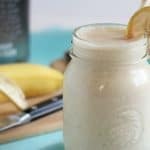 Over the years I’ve given this recipe a tropical flare… I started out by adding coconut to the batter…. then added banana cream pudding instead of vanilla… then used spiced rum instead of regular rum… it goes on and on. And now I finally get to share it with you. Not to say that the original version isn’t awesome (it is!). 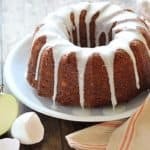 This is just my spin on a traditional rum cake that I think would be perfect for any holiday or birthday for people who love tropical flavors. 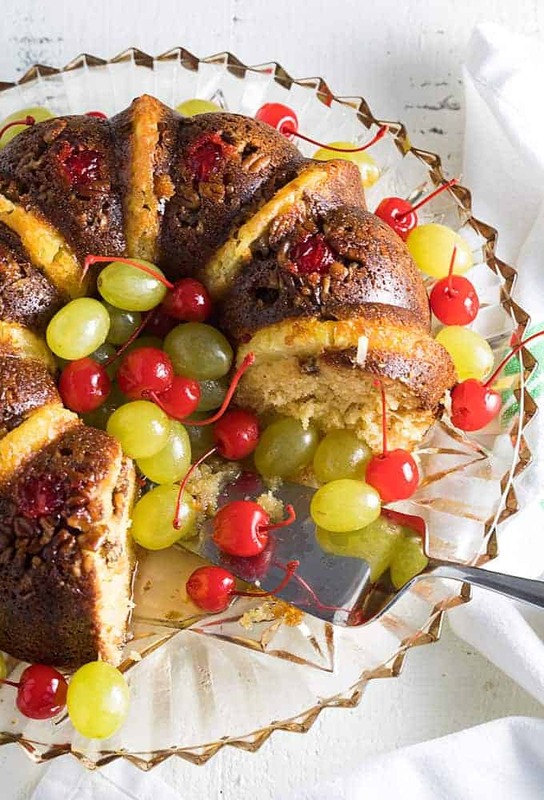 Place grapes and maraschino cherries in a bowl and pour in 1 cup of spiced rum. Stir to coat, cover and refrigerate. Spray a bundt pan generously with cooking spray. 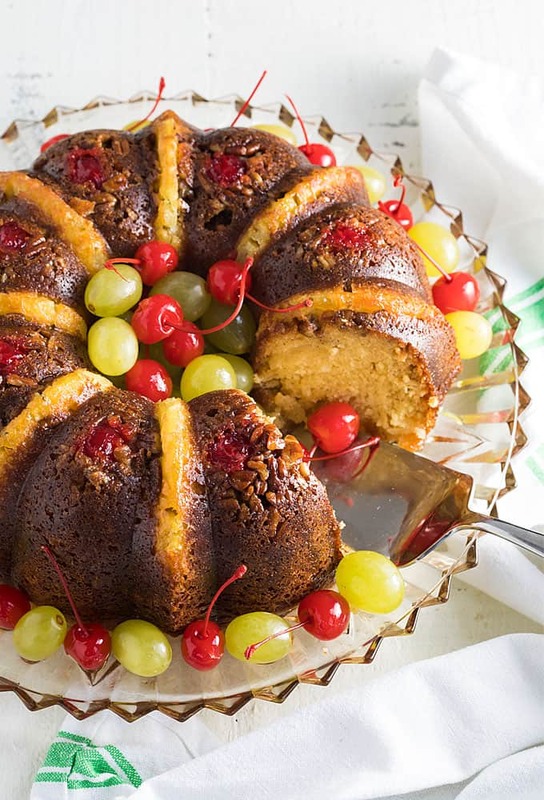 Place pineapple slice halves in ridges of bundt pan evenly and evenly distribute cherries around pineapple slice halves. 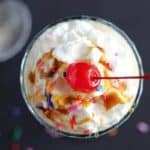 In a large bowl, mix together the cake mix, pudding mix, nutmeg, eggs, water, vegetable oil and rum with a mixer on medium speed until smooth. Add coconut flakes and stir until combined. 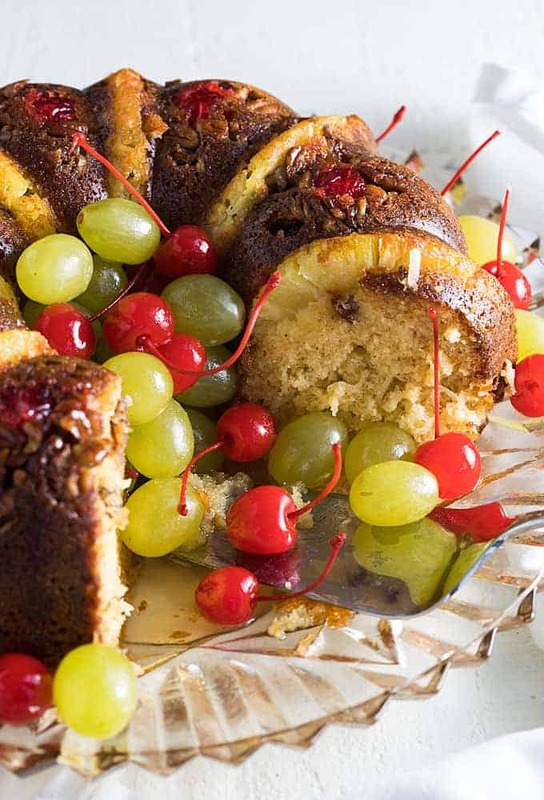 Pour over pineapple, cherry and nut mixture in bundt pan. Bake for 50-60 minutes, or until toothpick inserted is removed clean. Place on a baking rack to cool. While cake is cooling, prepare the rum glaze. Melt butter in a small saucepan over medium heat. Add sugar, then add water. Stir to combine. Increase heat to high and boil for 5 minutes, stirring frequently. Remove from heat, add rum and stir well to combine. Once cake has cooled, invert onto a serving plate. Using a skewer, pierce holes throughout the cake. 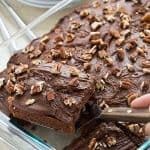 Drizzle glaze over top and sides of cake, allowing it to absorb the glaze. 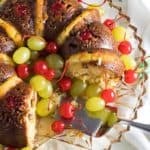 Garnish with the marinated cherries and grapes. I save the rum marinade from the cherries and grapes to mix with ginger ale for a special cocktail! Hi George… so very sorry! I have updated the recipe… 1/4 cup of water.